and be careful the surrounding EMI or RF noise may affect the pF reading. surge current and voltage, which may damage the meter. OPEN circuit the test leads terminal. Press then release the "ZERO" button, LCD shows "ZERO" and wait the zero disappear. If using the meter array socket, need to OPEN circuit to set zero, too. 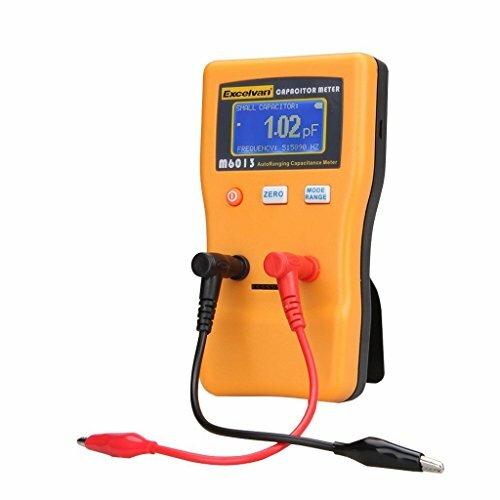 It will start running average automatically if the capacitance reading become stable and user can get reading more accurately. During running average it will show "AVG" at right bottom LCD or it will show raw data icon "RAW". If want to get higher accuracy reading, take the reading during AVG display.